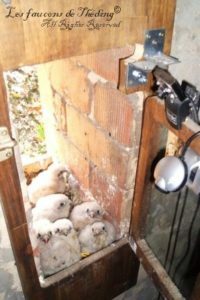 Welcome behind the scenes of the ‘Falcons of Théding’, on this page you will find out how is installed the equipment to film the falcons in the nest, and what software is used to allow the broadcast of the video on the Internet. The 2018 nest is a modification of the last year’s nest. 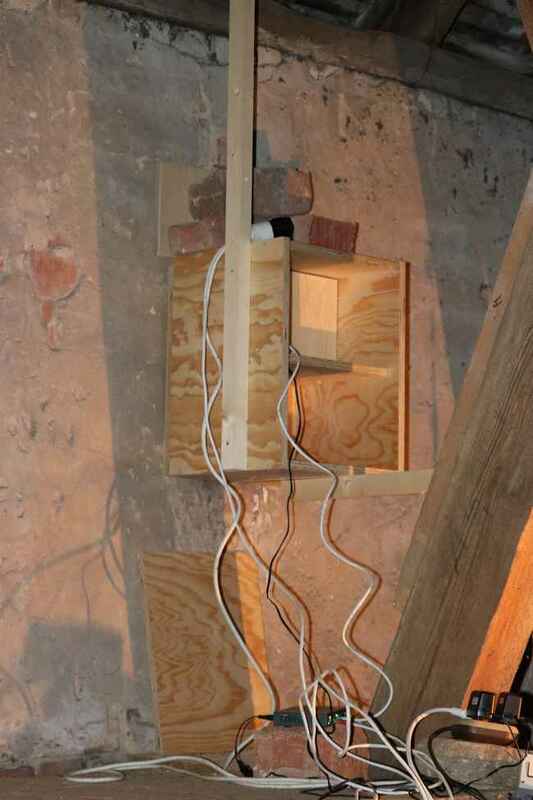 It has been adapted in order to better place the webcams and thus have a better vision of the nest. 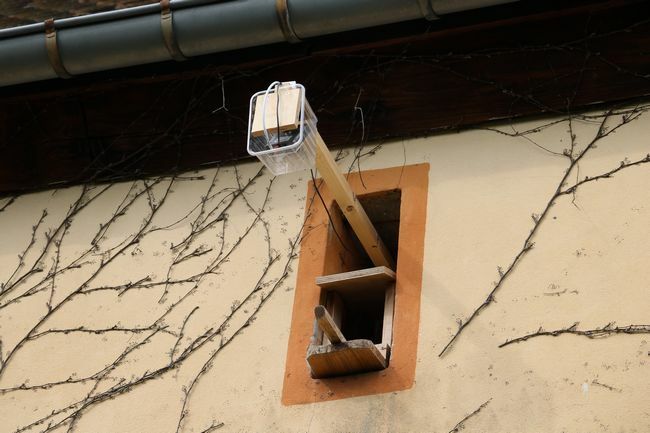 As shown in the map below, a motorized webcam (DLink DCS-5222LB) is placed inside the nest. 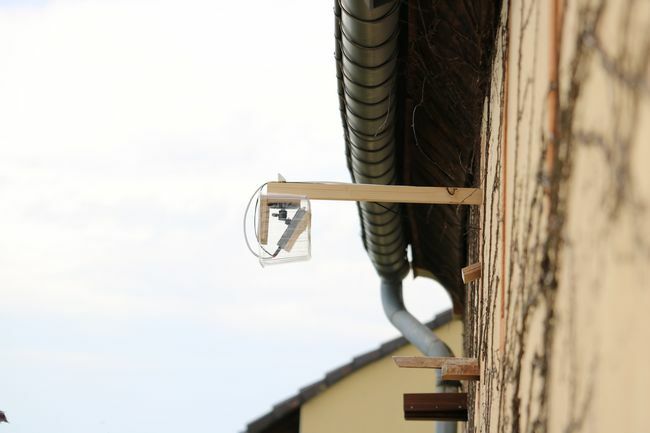 A second webcam (Edimax IC-3110W) placed on the outside of the nest by means of a perch, allows to view the edge/perch. The two webcams are equipped with an infra-red vision, so the falcons are visible 24 hours a day. 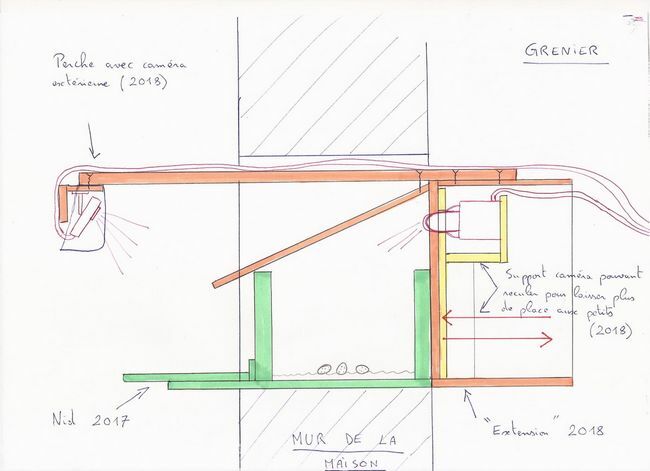 A system has been thought so that we can easily increases the surface of the nest. Thus the nestlings can have more room to develop and to train their wings. Since 2017, the presence of a computer is no longer necessary to make the video relay. In fact, the webcams used are I.P. cameras (or ‘network cameras’) using the Internet Protocol; So they are directly connected to the internet modem via a 20-metre ethernet cable. 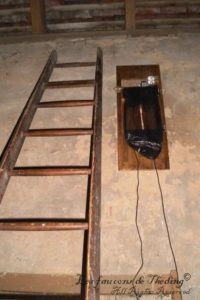 With the same length, an extension cord is used to bring the power supply. 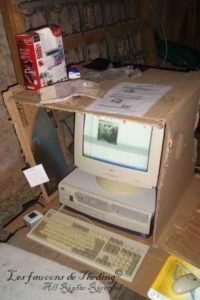 The internet modem, which is also switched on 24 hours a day, is set up to redirect (TCP) the broadcast server (external to the network) to the local cameras (inside the network). A new server (Cloud LSDD 50GB), provided by Scaleway (15 €/month), retrieves the video stream from each webcam and encode it to the right format for YouTube. From the website, or from the YouTube platform, on computer, tablet or mobile, the nest is widely accessible worldwide, 24/7! A replay is possible up to 4 hours back. The equipment is protected by lightning conductors. 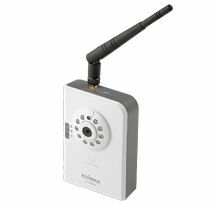 Webcam Edimax IC110W (Outdoor): 1.3 Mpx, resolution up to 640 * 480, Night vision (built-in LEDs), H. 264 video format, image frequency: Up to 30 frames per second, built-in microphone, motion detector, Price: €100. The domain and the domain name are hosted by OVH (30 €/year). The site web is managed thanks to WordPress (free). The videos are hosted on YouTube. 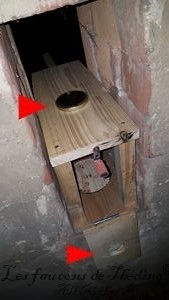 The new nest installed in the winter 2016-2017 visible in the photo below (in open position) was designed with 2 openings, identified in red (top and back) to place the webcam. In 2017, there was only one I.P. 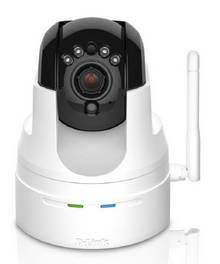 webcam (Edimax IC 3110W) that allowed the nest to be watched in real time. The broadcast server that was used this year was IPcamLive, this one connected to the Internet modem in order to recover the video of the webcam and to broadcast this pictures more widely: this meant that it allowed to broadcast the live webcam to an unlimited number of people simultaneously. 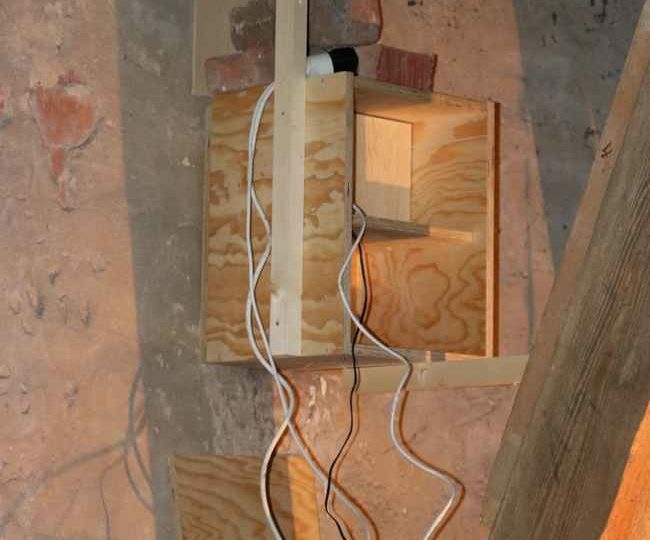 This paid service (30 €/mois/webcam) also allowed to archive 1 picture of the nest every 2 minutes. 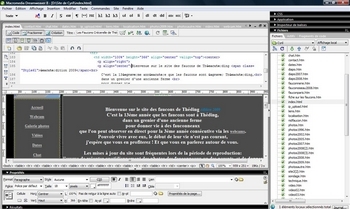 Until the end of 2017, the site was administered with the Macromedia Dreamweaver 8 (Adobe) program. At that time, two USB cameras were used to film the Falcons. They were camouflaged by a black bag or a piece of cardboard, the LEDs had to be witched off. 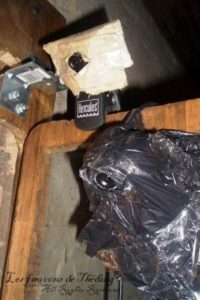 Via USB extensions, the two webcams were connected to the computer placed in the attic. The program ‘VisionGS Business Edition-v 1.50 Final‘ was used to relay pictures from webcams to the OVH server which itself allowed to display the nest live on the website.